What Questions Should You Ask During your First Migraine Surgery Consult? So you’ve tried everything without success, and your migraine attacks have reached the point you simply can’t handle them any longer. Your physician has suggested you consider migraine surgery, but it’s a big step and you aren’t sure it carries enough benefit to make it worth the risk. 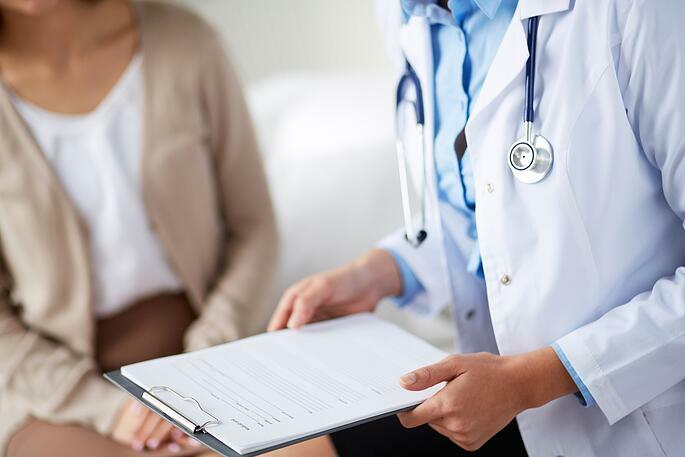 Scheduling a surgery consult is your first step towards a new reality, but it’s essential you get answers to all your concerns during the appointment, so you can decide whether to proceed or not. 1. Which migraine surgery is recommended for my condition? You may already partly know the answer to this, because you’ve worked with your migraine doctor to determine the cause of your migraines. Ask the doctor to explain exactly what procedure he or she plans to do, and the reasons why they expect it to relieve your attacks. The options are nerve compression surgery, septoplasty, arterial ligation or pain blocking. Question whether there are alternative methods for the procedure, and if so why the surgeon favors one over another. Migraine surgery is usually minimally invasive and takes only a couple of hours to perform. 2. How much of a difference will surgery make, and how long will it last? Migraine surgeries are not considered miracle cures, and often the best a procedure can achieve is to reduce the severity and frequency of attacks. Ask your doctor to provide both the best- and worst-case scenarios, so you can make an informed decision on whether it’s worth it to undergo the surgery. It’s also important to find out whether you will still need to take medication or practice alternative therapies after the migraine surgery, and to what extent. Find out if one surgical procedure will be enough to achieve the goal, or if there’s a chance you may need surgery again at a later stage. Reports show more than 70 percent of patients have successful surgeries, with around a third reporting the complete end of their headaches. Sixty percent have significant reductions in pain, and 90 percent report at least a 50 percent reduction of pain. 3. What is the prognosis if I refuse the surgery? Just as you need to know the potential for having had surgery, you also need to know what to expect if you decide not to go ahead with it. Ask for clear details of both the short-term and long-term prognosis if you don’t have the surgery, and whether you will be able to change your mind later if you decide to wait a while. The pre-surgical selection process includes a physical exam and a detailed medical history review to determine the potential outcome of either decision. 4. Are there risks in having this procedure? Anesthesia risks, such as shock, allergic reactions and cardiopulmonary problems that affect all surgical procedures. During the pre-screening process, patients undergo diagnostic and therapeutic testing to identify their risks for side effects and complications, and any concerns the surgeon has will be discussed with you. 5. What are the doctor’s qualifications and experience in performing this procedure? Don’t feel uncomfortable asking this question. It’s your right as a patient to be sure you are entrusting your life and health to a qualified person, and no physician will take offense at being asked to provide the information. It’s especially important to know whether the doctor has conducted many similar procedures, and what the outcomes of the surgery were. Q #6: Where will the procedure take place and how long will it take me to recover? Most migraine surgeries are performed as outpatient procedures under either local or general anesthetic and take between 2 and 3 hours. Patients can usually return home the same day, provided they are accompanied by another adult and don’t attempt to drive a car. Slight swelling and bruising is a typical reaction to surgery, and usually disappears after approximately two weeks. Depending on the nerves targeted during surgery, your doctor might ask you to avoid doing strenuous exercise for up to three weeks after the procedure. Remember, your first consultation is intended to discuss the options available to you and the pros and cons of each. You’re under no obligation to make a decision then and there, so take your time, ask all the questions about migraines you want to, and make sure you get the information you need to feel comfortable going forward.